Here are some example color selections to choose from or define your own. 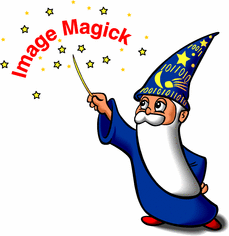 ImageMagick Studio understands color names or hex values (.e.g. white or #ffffff). For drawing and painting operations, you can specify the color as @clipboard. Here, the clipboard image is tiled onto the drawing or painting primitive instead of a solid color.